By now many of you know that selling the Medical Dental Arts building my father built in 1952 would become a reality at some point in my career when the timing was right. Downtown St. Pete is developing beyond what any of us old-timers could have ever imagined, and a developer wanted the property. I had hoped the buyer would allow me to stay in place while the first phase of demolition and construction of townhouses took place, but the disruption would have been unfair to all concerned. I have been very fortunate to secure my good friend, Dr. Mike Grant’s vacated dental office at 7499 MLK Street N, just south of Gate Way shopping center and just north of Fossil Park Rec Center. We are sprucing it up a bit and have a lot of moving in to do. 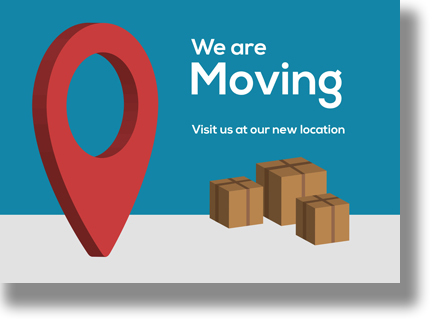 We will close our downtown office the last week of April for moving and will be in full operation on May 1st. As you might imagine this has been a tough transition because of family tradition. I have really appreciated the location and convenience of the heart of St. Pete. I was 14 when the building was built and took care of the yard and planted those oak trees so there is a great deal of sentimental attachment, but change is inevitable, and we will enjoy the new location, no stairs for you to climb and individual treatment rooms but the same ole everybody can always hear everything I say. We realize some of you will have to drive a little further north and some less so, but we will still maintain that on time all the time commitment that you deserve. We always want your appointments with us to be worth your effort to achieve something so valuable and lasting – a friendly smile. We look forward to seeing you at the new location beginning on May 1st. Turn east on 75th avenue from MLK street and an immediate right into the parking lot. 7499 MLK Street N.